This venture aspires to be a mix of a textbook at the undergraduate and postgraduate levels and a monograph to catch the attention of researchers in theoretical and practical aspects of survey sampling at diverse levels demanding a comprehensive review of what useful materials have preceded, with an eye to what beacons to the depth of the imminent future. A Summary. Estimators. Types of Sampling. Modeling. 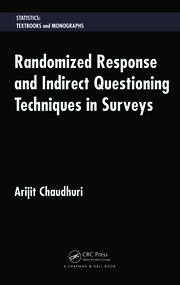 Randomized Response Techniques. 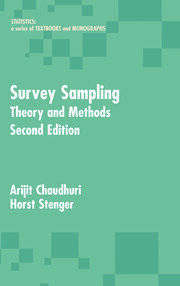 Network and Adaptive Sampling Methods. Sampling from Inadequate Frames and Multiple Frames. Analytic Studies. Case Studies. Examples and Exercises. 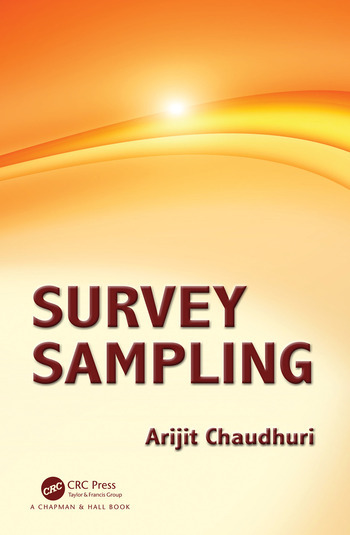 Review of Various Sampling Schemes. Epilogue.